Last year I got given an unexpected sum of money so I decided to spend some of it on another observing trip to Australia. This time I decided to go to the OzSky Star Safari which would be held from 29th March to 5th April 2014 so, in June last year, I booked a flight with Malaysia Airlines (as they were the cheapest at the time), arranged an ETA (paperless visitors visa) and sent off the deposit to the organisers of OzSky. The rest of 2013, and the beginning of this year, flew by in a whirl of work, family crises and appalling weather and 18th March 2014, the departure date, came round very quickly. I travelled up to Heathrow from Southampton and, that evening, boarded a Malaysia Airlines Airbus A380-800 (registration number 9M-MNC, plane geeks) which would take me as far as Kuala Lumpur. From there, it was a far less comfortable A330-300 to Sydney, where I arrived on 20th March. 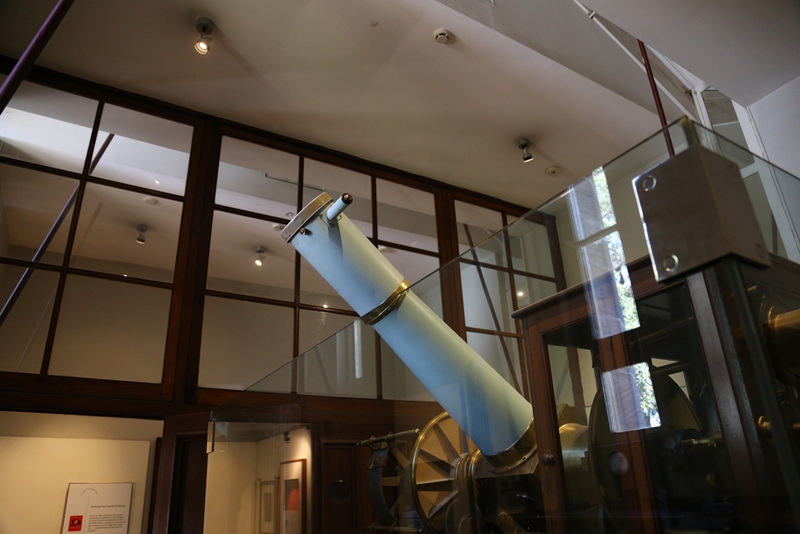 I didn’t do much astronomy-related while I was in Sydney itself although I visited Sydney Observatory which is now a museum and involved in public outreach and operated by the same people who run the nearby Powerhouse Museum (also worth a visit). On 27th March I met up with other OzSky attendees at the Great Southern Hotel in George Street, where we had dinner and drinks. Some of us would meet again at Central Station to get the train to Dubbo on Saturday morning. 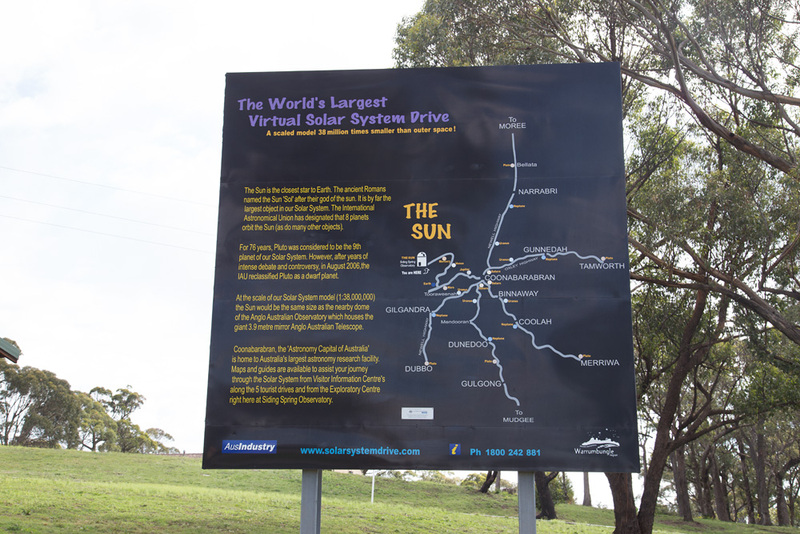 On arrival at Dubbo, we collected our rental cars and drove to Coonabarabran and the Warrumbungles Mountain Motel where the star party is held each year. Coonabarabran – which, like everyone else, I’ll refer to as ‘Coona’ from now on because the full name is a pain to type; my friend Petra’s iPhone auto correct mangled the town’s name into Coonabarbarian at one point! 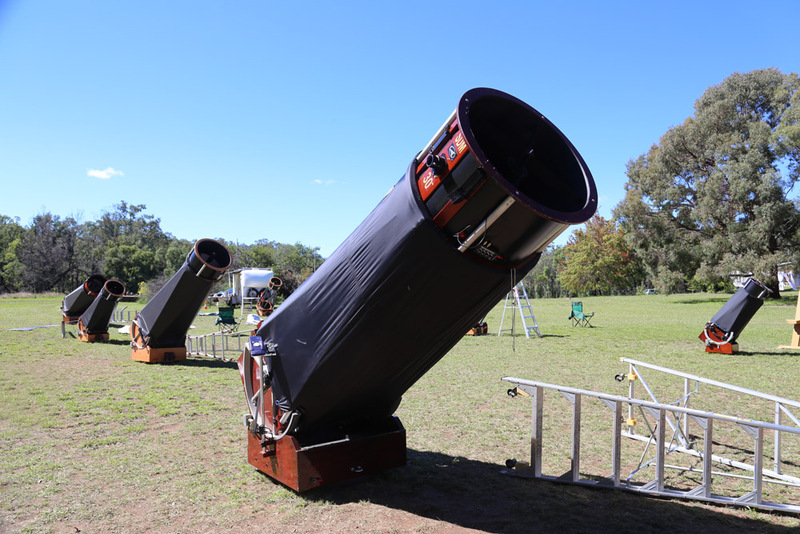 – calls itself ‘The Astronomy Capital of Australia’ and, as well as the professional observatory at Siding Spring, there are a lot of smaller, private, facilities dotted around the local countryside. Coona also has a sensible lighting policy, because of the SSO not far away. Coona is Australia’s Fort Davis, although a lot larger than the tiny Texan village where TSP is held. 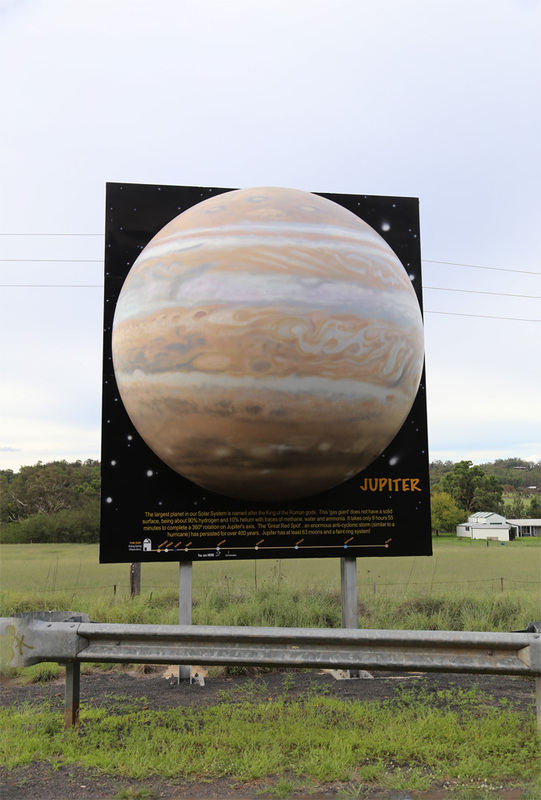 En route, we followed the Solar System Drive which starts, at least from the direction in which we were driving, with Pluto at Dubbo Tourist Information Centre and ends with the Sun, the latter being represented by the AAT dome at Siding Spring Observatory. 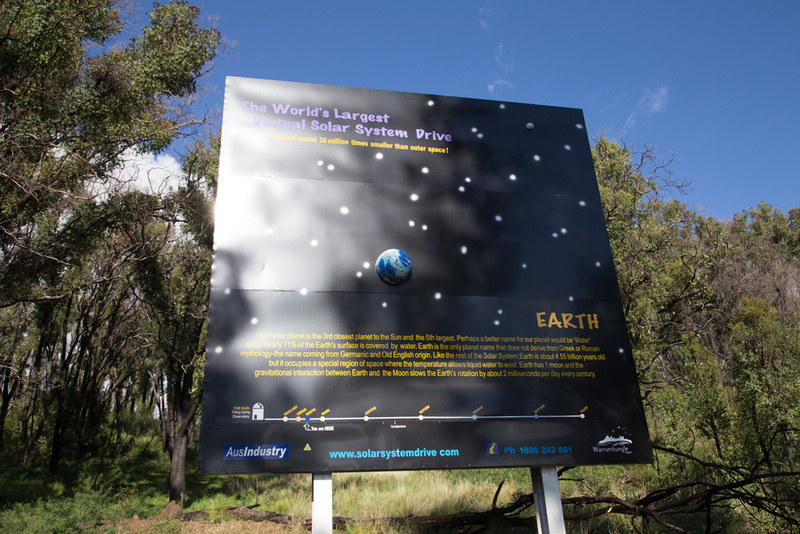 The drive starts at various locations, each with representations of the planets, and all end at Siding Spring; Dubbo to Siding Spring is Drive 1. Here are a few photos I took along the way. The Earth is on Observatory Road, 3 minutes from the Observatory. 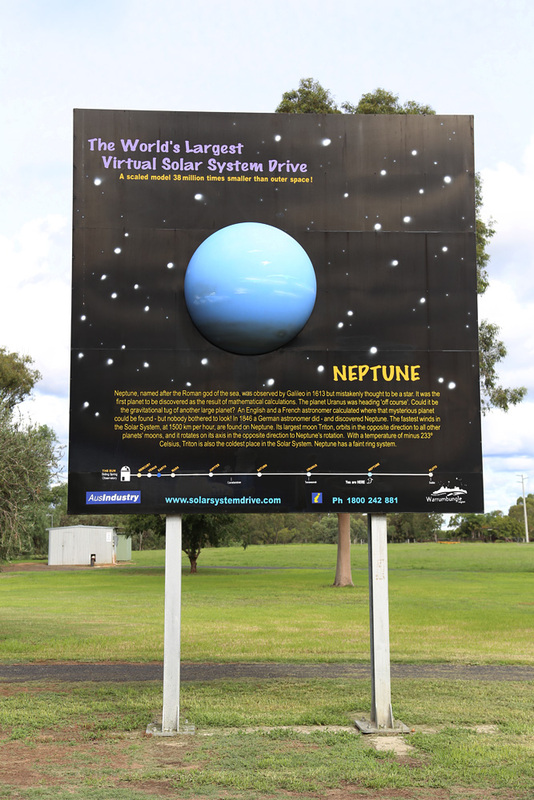 Neptune is at Gilgandra, 1.5 hours drive from SSO. This is at SSO visitor centre, and the Sun is represented by the AAT dome. 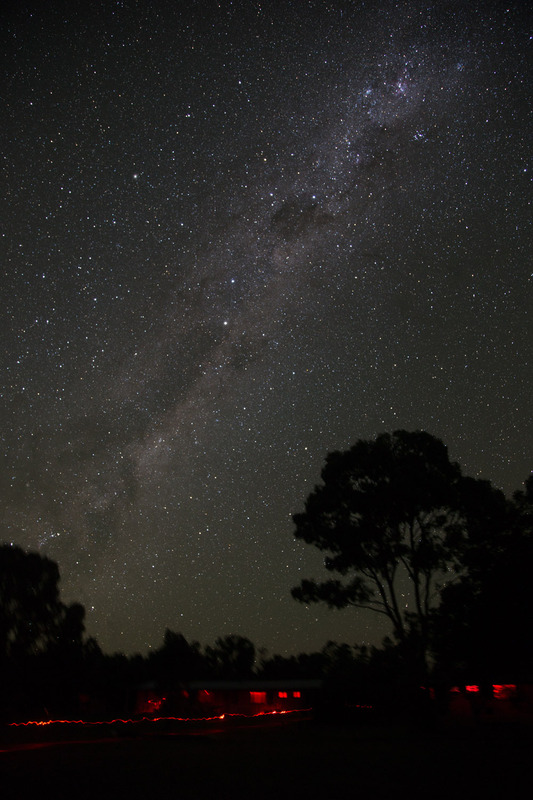 The star party itself is held on land at the back of the motel and all lighting on clear nights is kept to an absolute minimum, apart from red flashlights. 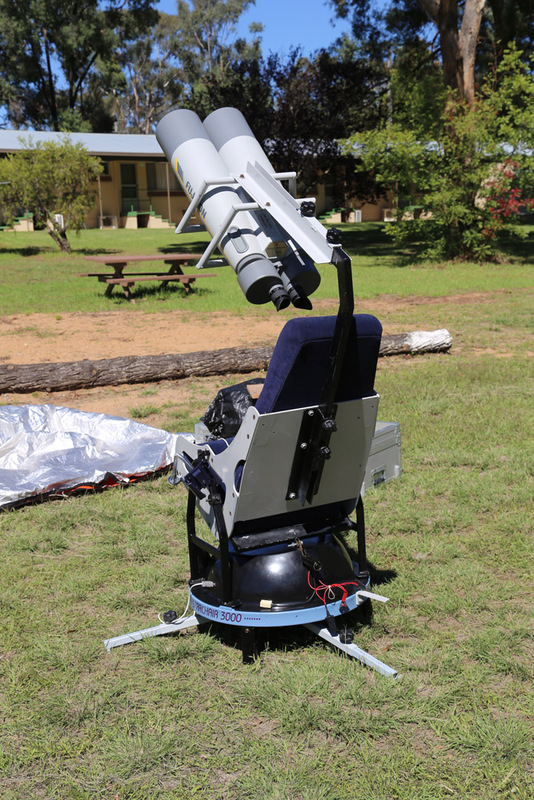 OzSky (3RF Australia) had provided several telescopes, all Dobsonians (apart from a pair of giant binoculars mounted on a motorised chair). 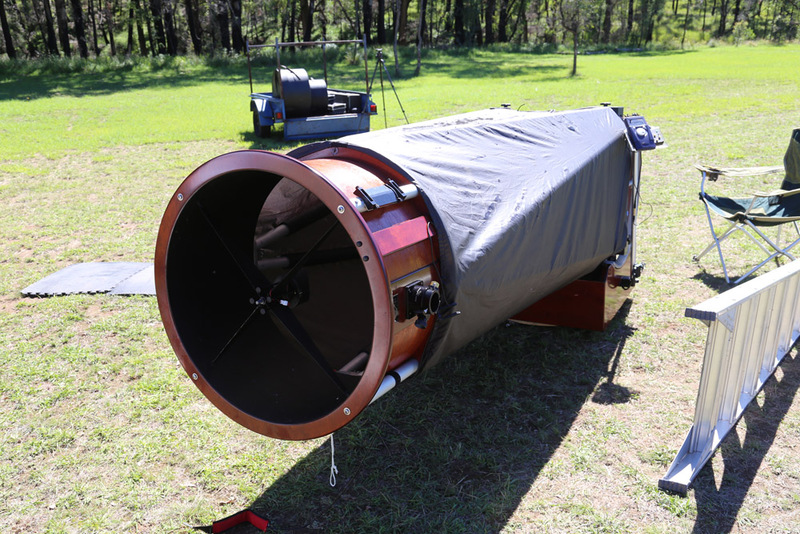 These were a 30″, two 25″, three 18″ (two Classic and one UC Obsessions), one 14″ and a 12″ binocular Dobsonian which was interesting and not the pain to collimate as I imagined it might be, plus the 25×150 Fujinons mounted on what looked like an ex-airliner or coach seat and powered by a truck or marine battery. So there was plenty for everyone and, after a couple of nights using an 18″ Obsession, I found myself in sole charge of the 30″ on one night. 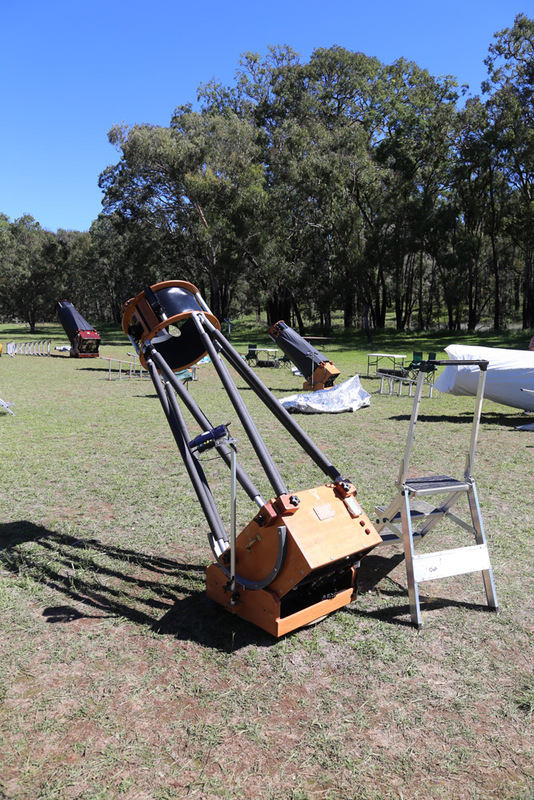 I think this was because it was a huge telescope and quite heavy to move round so people tended to gravitate to the easier ones, such as the 25″ and 18″. The little 14″ was also popular, for good reason, the views through it were fantastic; the Zambuto mirror in it certainly helped there. I didn’t mind that and spend the time mostly looking for far southern globular clusters; as an Aussie pointed out, the southern hemisphere is the place for globulars while the northern hemisphere is galaxy territory. 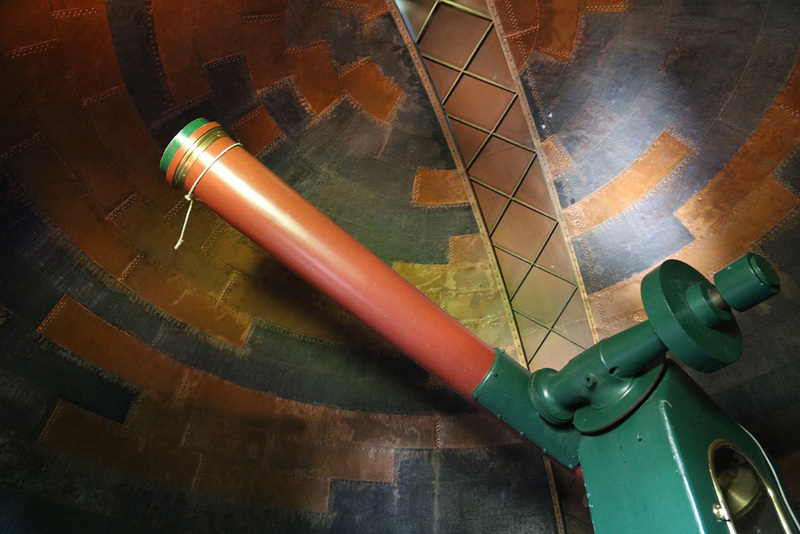 Each telescope was equipped with an Argo Navis digital pointing system which made things a lot easier in an unfamiliar sky, especially when using the 30″. I had seen ANs at work before, at star parties at home and abroad, but this was the first time I had actually got to use one myself. I observed a lot more objects than I would have done otherwise and, because of this, I bought one from Gary of Wildcard Innovations, who makes and sells them. I’ll install this on my 18″ sometime over the summer. We only had one complete cloud-out with a couple of half nights and the rest clear. All-in-all everyone got to see the objects they’d come to see – including the southern eye-candy – and make inroads into lists. You can see my observations – nothing checked as of yet, just taken from the notebook, typed onto my iPad and then emailed to myself before I came home – on the 2014 Observing sessions page. There are probably one or two errors, especially the stuff in the LMC, so I need to look up the objects in The Night Sky Observers Guide Volume 3: The Southern Skies, which I haven’t got round to doing yet. I did next to no sketching, although what little I did do will be posted in due course once scanned. I did do some astrophotography with my Canon 6D, my 24-105 lens and an iOptron tracking mount I borrowed from Australian observer and photographer Andrew Murrell. This is my favourite of the photos I took, showing the Milky Way through Crux and Carina. The dark nebulae form the Aboriginal constellation of ‘The Emu’, with the Coalsack as the bird’s head. You can also make out the pinkish form of the Eta Carina nebula, at the top right. 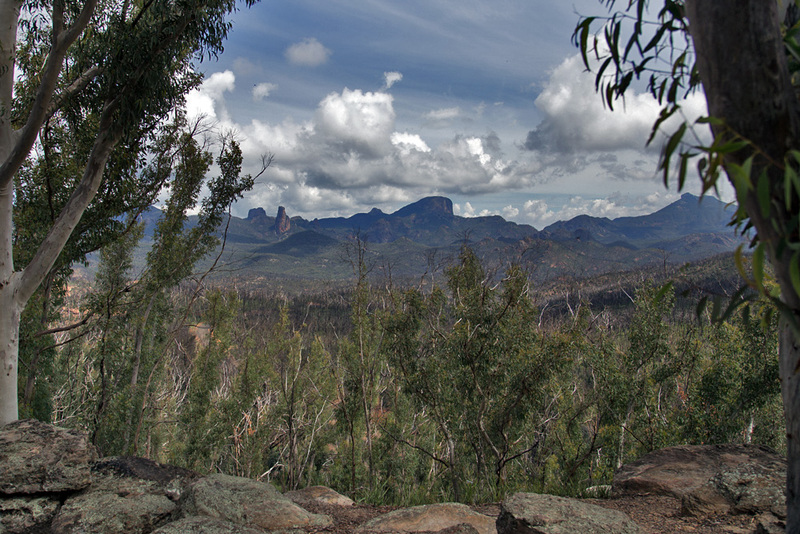 We had a few daytime trips to local places of interest, such as Siding Spring Observatory, the radio telescopes at Narrabri, White Gum Lookout (the weather was a LOT better than the last time I was there!) and some sandstone caves in the Piliga Forest. 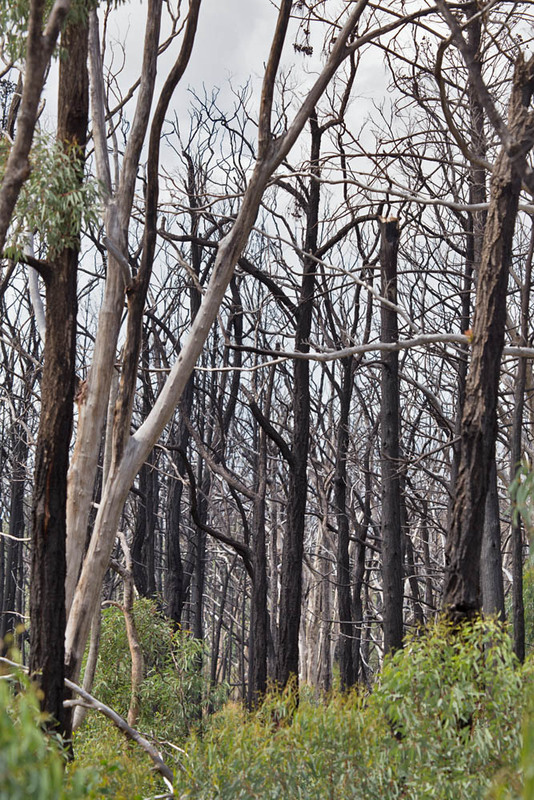 Trees showing the effects of the terrible bush fires in January 2013. Some of the landscape looked as if it was a nuclear wasteland, although there was a lot of new growth. 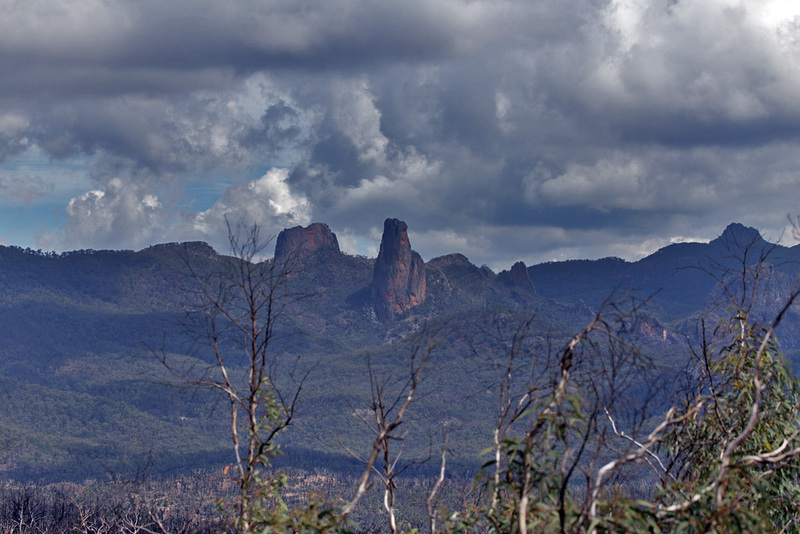 The Warrumbungles were formed by a volcanic hotspot about 13 million years ago. The hotspot has since moved away, now lying beneath the Tasman Sea, and all that is left of the original volcanoes are the magma plugs, which can be seen in the photo. On 5th April, it was time to take the rental cars back to Dubbo – for those who rented them in Dubbo rather than Sydney – and catch the train back to Sydney. The train was late, due to storm damage on the line near Dubbo, although the planned track work was postponed so at least we didn’t have to get a coach part way. We eventually arrived back at Central Station just before 10 PM. A postscript to this was that I’d booked a room at a backpackers hostel in Woolloomooloo for a couple of nights but upon checking in (i.e. being handed a key by a disinterested – and drunk – member of staff) I found that it was so unbelievably noisy – there were pissed-up backpacker types having a party in the hallway directly above my room, and the room itself was a filthy death-trap – that I fled to far more salubrious premises, the Hilton! The Hilton was the only place available at such short notice and was more than I wanted to pay but that hostel was nasty and I had to get out of there. On reading Trip Advisor, which I wish I’d done beforehand, I found the reviews of this dump were revealing, with many people fleeing to much more upmarket and nicer establishments, due to noise and dirt, within minutes of checking in. I returned the following morning, handed my key in and told the guy on the desk exactly what I thought of it. Fortunately I hadn’t paid in advance. After a night at the Hilton, another at the Sydney Boulevard and yet another at an airport hotel, I flew home on 8th April, firstly on Malaysia Airlines Airbus A330-300, 9M-MTH, then the bigger and vastly roomier Airbus A380-800, 9M-MNB. Like the flight out to KL from London, I was given a seat on the upper deck, which was happily child free; unlike the Sydney-Kuala Lumpur flight there were no screaming kids! What would I do differently? 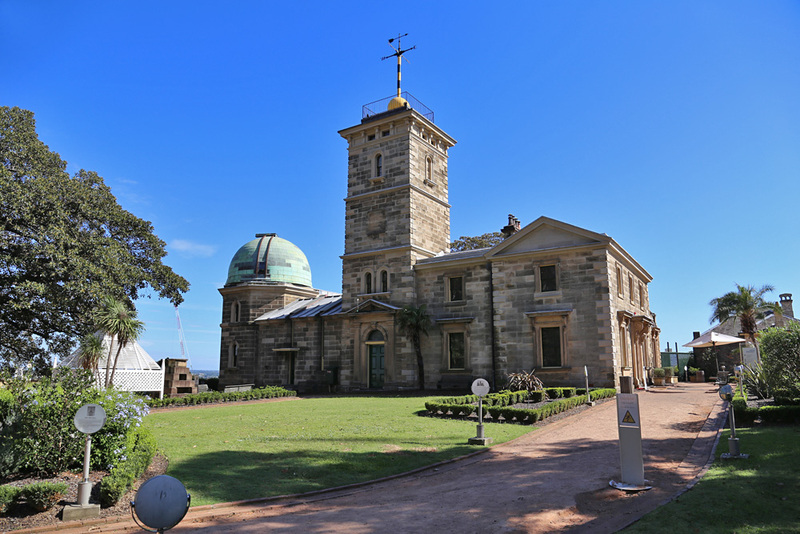 I’d actually spend less time in Sydney before the star party, on grounds of cost, arriving a couple of days beforehand instead of nine days; I won’t book a backpackers; my days of staying in those are well and truly over! I’d also take NSOG Vol 3 with me. Also, I’ll leave the DSLR and lenses behind and take just a compact zoom, I am tired of lugging a heavy camera bag around, as a full frame DSLR and two L-series lenses weigh a lot and leave no room for other things. I used the DSLR a lot this trip, but I think a decent zoom compact will be better for next time, especially as it will be just the observing trip without bird/ship/occasional airliner photography, although I might want it and the short zoom for astrophotography; certainly I would leave my 100-400mm lens behind. It was an excellent trip and I can definitely recommend it if you can swing the costs of an air ticket and don’t mind spending 20+ hours on large airliners. For more info, go to the OzSky home page.